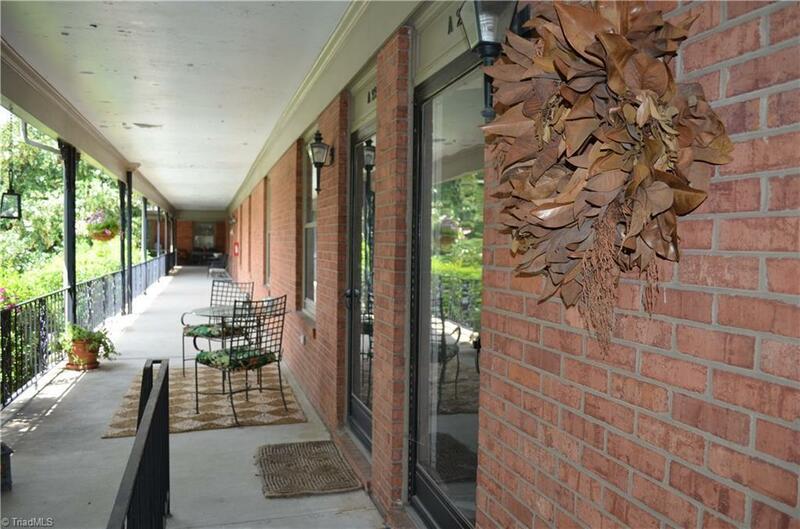 Adorable 2 Bedroom/2 bath, 2nd floor, end unit in King Arms with fresh paint and new countertops in kitchen. Lovely views of the landscaping and community pool from the large patio. Spacious bedrooms, living room, and dining room. HOA fees include water, trash, exterior landscaping, A/C, and use of community pool. Stackable washer/dryer combo will remain, along with all appliances. Convenient to all restaurants and shopping right off Battleground Ave.
Sold by Allen Tate Oak Ridge. Listing information © 2019 Triad MLS, Inc. All rights reserved. Listing provided courtesy of Re/Max Revolution. Information deemed reliable but not guaranteed.